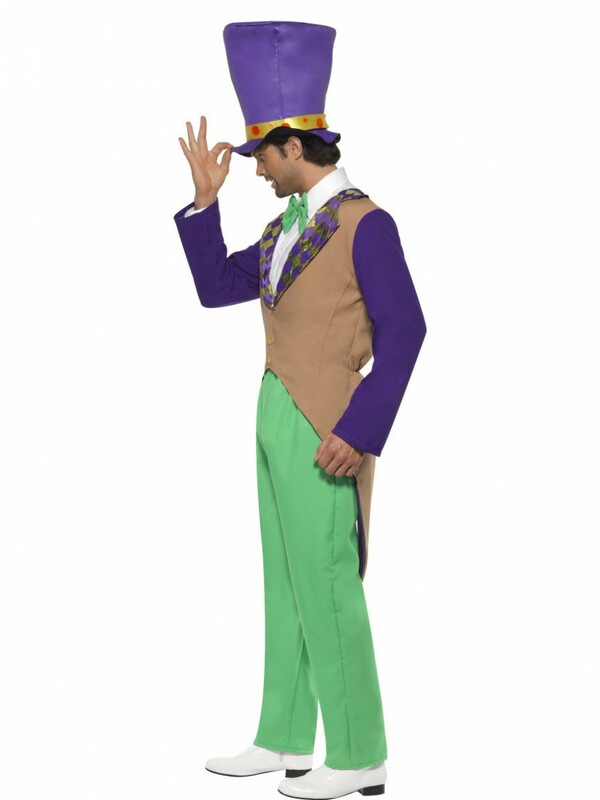 This Mad Hatter Costume includes a quality Jacket, Trousers, Bow Tie and Hat in a colourful and fun design. Available in two sizes. 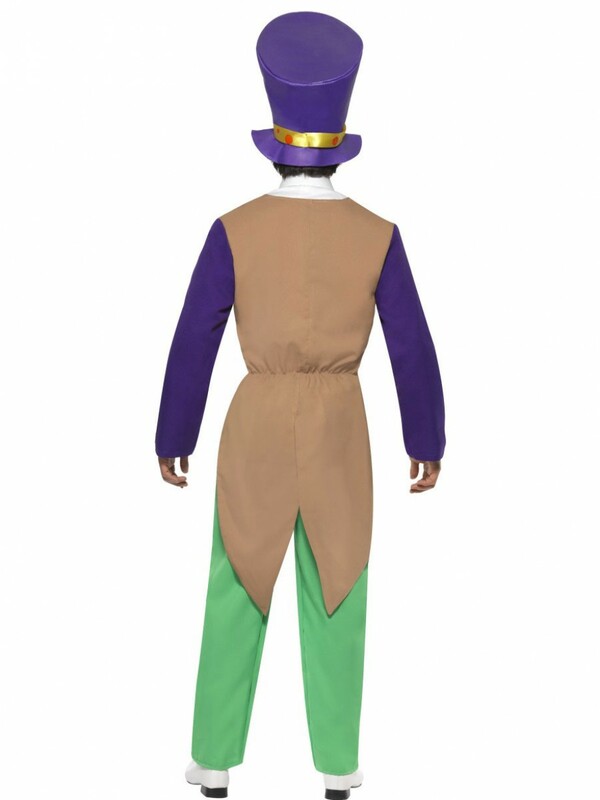 This fun Mad Hatter Costume comes complete with everything you need to transform into this book character with Jacket, Trousers, Bow Tie and Hat. The Jacket has great design detailing with a long design. The main section is beige with vibrant purple arms and lining. The co-ordinating green and purple collar is in a shimmering material with checked design. The vibrant green Trousers are in a soft and stretchy material with elasticated waist for comfort. The co-ordinating Bow Tie has an elasticated fastening and matches the Trousers perfectly. 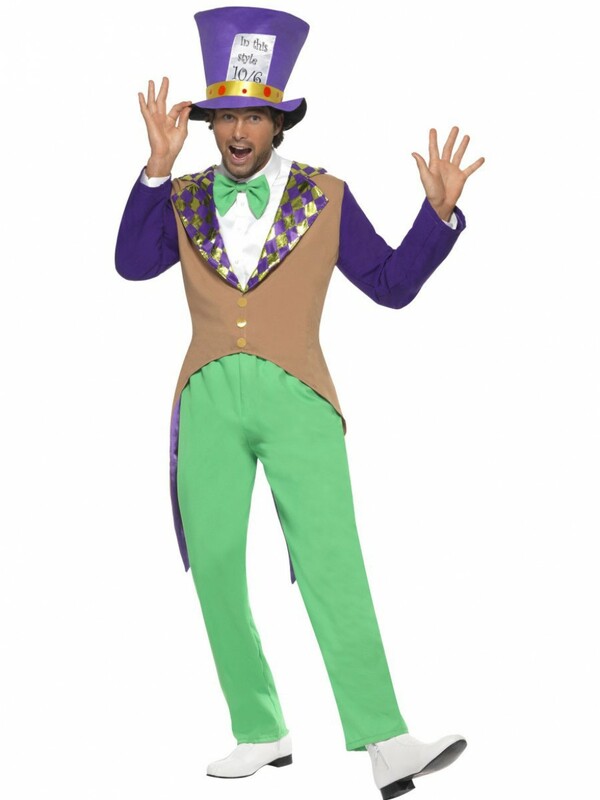 To complete this Mad Hatter Costume a huge purple Hat is also included. 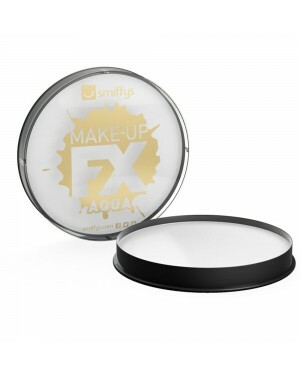 The Hat has a padded design with bright spotted trim and ‘In this style 10/6” on the front. 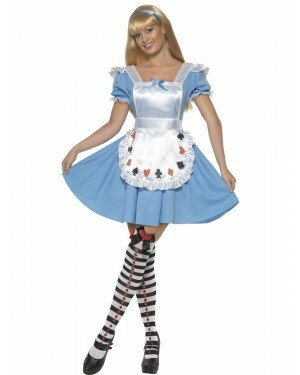 A fun Mad Hatter Costume for any fancy dress occasion! Please note that the white shirt is pictured for illustration purposes only.